When it comes to a roofing company, Classic Metal Roofs offers the best of both worlds. We will serve you with a new metal roof that provides long-term, worry-free performance, all while you benefit from one-on-one attention as we listen to your needs and prepare a solution. We are enthusiastic about educating our customers on the remarkable benefits of this quality roofing material. 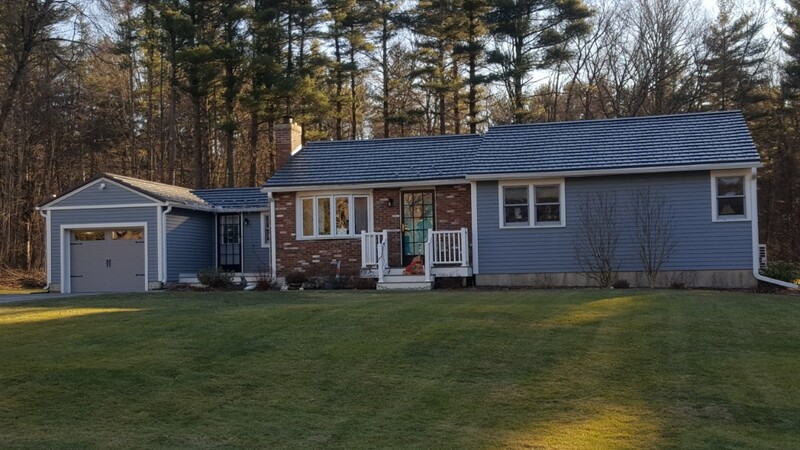 Classic Metal Roofs is part of a national network of metal roofing dealers that are dedicated to advancing metal roofing throughout, not only New England, but also the United States. Given our association with Englert, Inc. Metal Roof Systems, a superior standing seam metal roofing product, and Classic Metal Roofing Systems, Inc., a premier brand in the residential roofing industry, we are able to provide highest warranty coverage on every new metal roof that we establish. In addition to this, we supply diverse styles of metal roofing solutions—anything from standing seam panels to unique slate and shake shingle profiles. Metal is one of the major energy-efficient roofing materials out there. In fact, metal roofing is exceedingly energy-efficient and can save you up to 40% on air conditioning costs in the summertime (Metal Roofing Alliance). During the manufacturing procedure, special finishes are applied to the metal, namely ENERGY STAR®-compliant finish. As a result, this yields lower roof surface temperatures and enhances solar reflectance. Hence, your home is better insulated and calls for less energy to keep it cool. Call Classic Metal Roofs for the last roof you will ever need. Contact us at (866) 303-2002 or complete our online form for a free quote. Picturesque A-Frame in a grey standing seam metal roof. 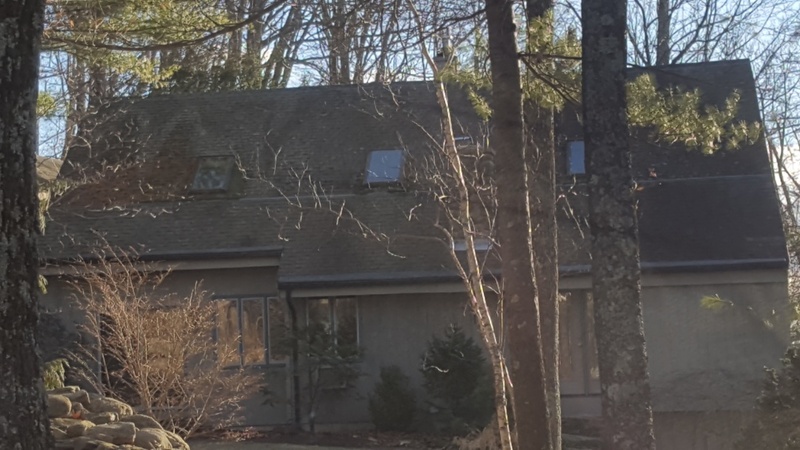 Nice contemporary overlooking Wachusett Mtn looking for a standing seam roof. 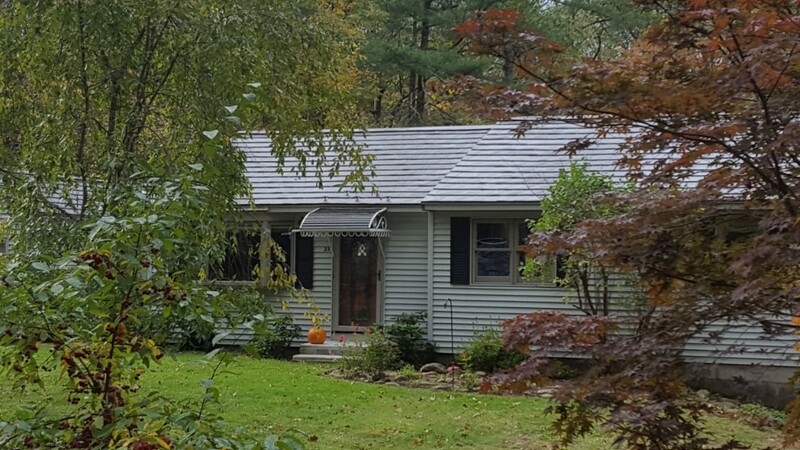 Beautiful Rustic Shake aluminum roof on this cute ranch. Oxford Slate aluminum press formed metal shingle on a beaitiful ranch. 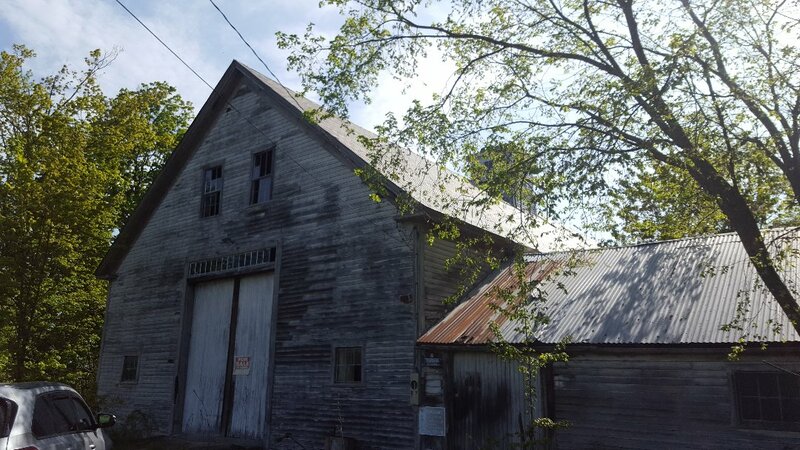 Barn being converted to residence. Investigating Oxford Slate aluminum shingle to replace existing slate roof. Total rehab in next couple of months.